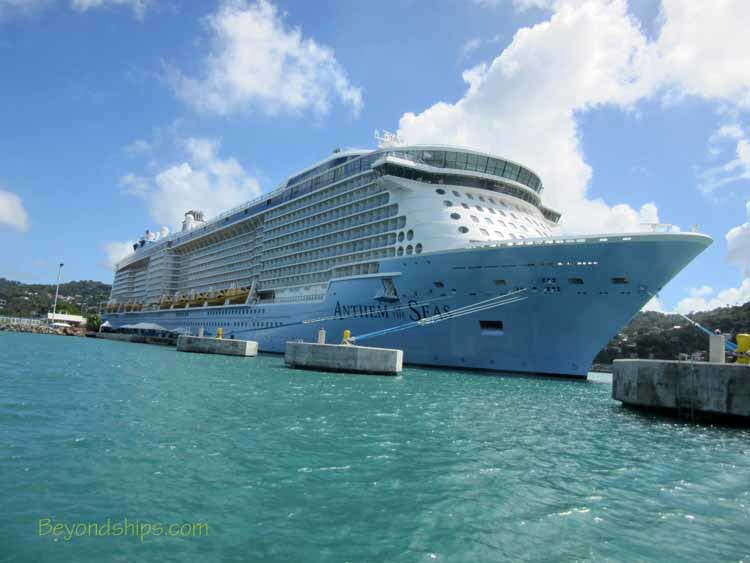 On January 13, 2018, Anthem of the Seas became the largest cruise ship yet to dock in St. Lucia. 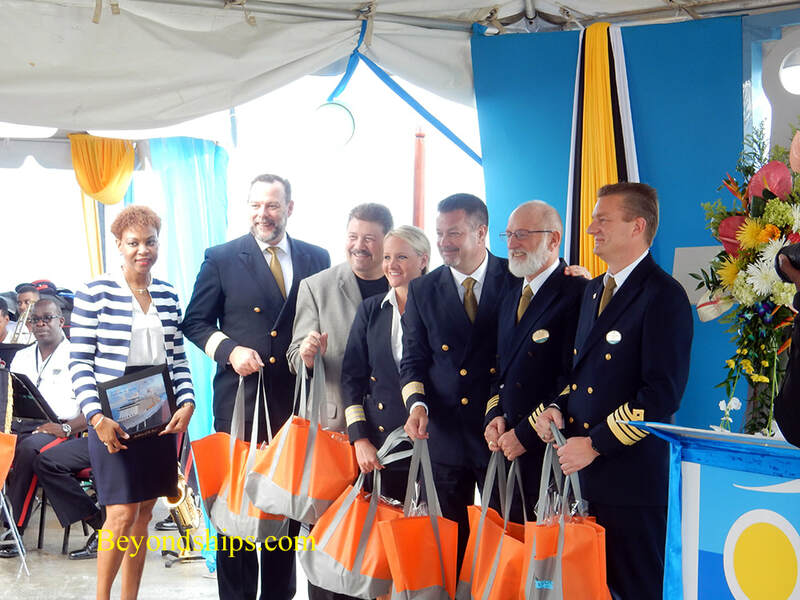 Anthem was able to dock in Castries as a result of a $18.8 million project undertaken by St. Lucia to expand the cruise port so as to accommodate larger cruise ships. The project entailed adding a 164 ft by 40 foot extension to berth 1 at the Pointe Seraphine cruise facility. In order to do this, 76 steel piles had to be driven into the rock unerneath Castries harbor. Underwater concrete was then poured in order to secure the piles. The two feet of reenforced steel concrete was added atop to form the platform. In addition, three “dolphins” were created. (These are offshore structures to which a ship can secure its lines). The construction project was managed by Ballast Nedam, a Dutch company. 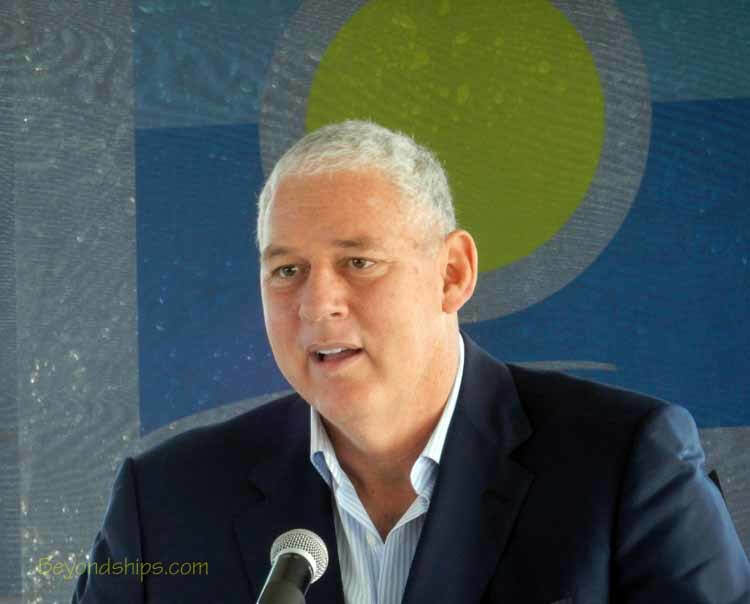 Allen M. Chastanet, Prime Minister of St. Lucia, noted that the 11-month project “was done on budget and on time.” It is expected that the new facility will result in a 20 percent increase in cruise ship calls to St. Lucia and a 19 percent increase in passengers. This should in turn have a positive impact on St. Lucia's economy and produce more tax revenue. Although large cruise ships such as Norwegian Breakaway have docked in Castries for some time now, St. Lucia saw that cruise ships are continuing to get bigger and thus enhancing the port was necessary to remain competitive with other islands. Mrs. Agnes Francis, Executive Chairperson of the St. Lucia Tourism Authority indicated that the goal is for St. Lucia to become the “number one cruise destination” in the region. “This is just the beginning of what we are going to be doing,” said Prime Minister Chastanet. Plans include improving the cruise village at Ponte Seraphine. 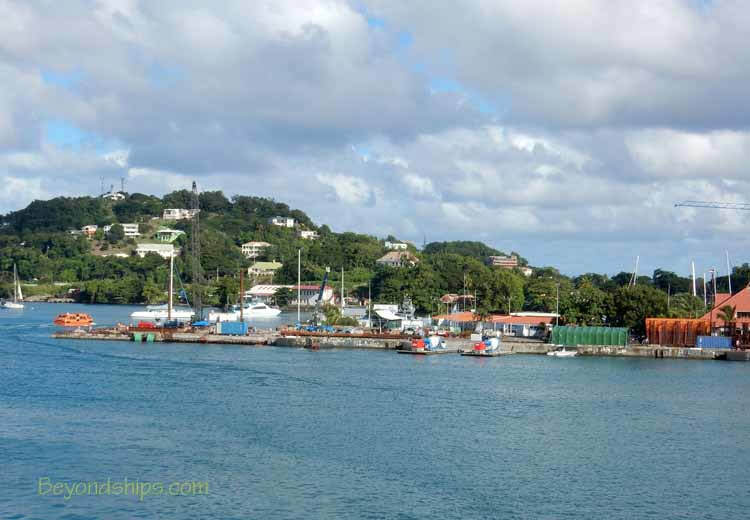 The container port will be moved from Castries and the Castries market enhanced. In addition, there are plans to create another cruise port in the south of St. Lucia at Vieux Fort. Located near the island's international airport, this port would be able to act as a homeport for cruise ships making it competitive with islands such as Barbados. ﻿Above: The Pointe Seraphine Berth #1 being extended in November 2017. Below: Hon. Allen M. Chastanet, Prime Minister of St. Lucia, speaking at the ceremony officially opening the Pointe Seraphine Berth # 1 Extension on January 13, 2018. 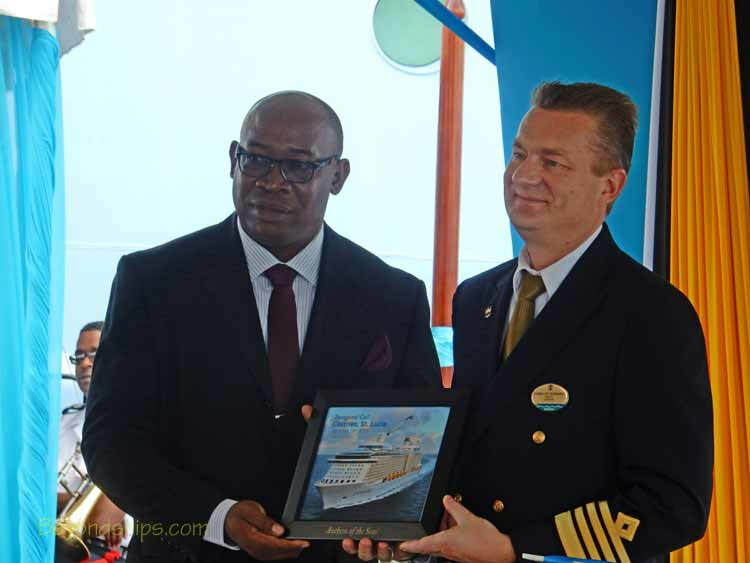 Above: Captain Henrik Sorensen, Master of Anthem of the Seas, presenting a plaque to Hon. Stephenson King, Minister of Infrastructure, Port Services and Transport of St. Lucia, to mark the occasion of Anthem's first call in St. Lucia. Below: The senior officers of Anthem receive gifts from Mrs. Agnes Francis, Executive Chairperson, St. Lucia Tourist Authority.